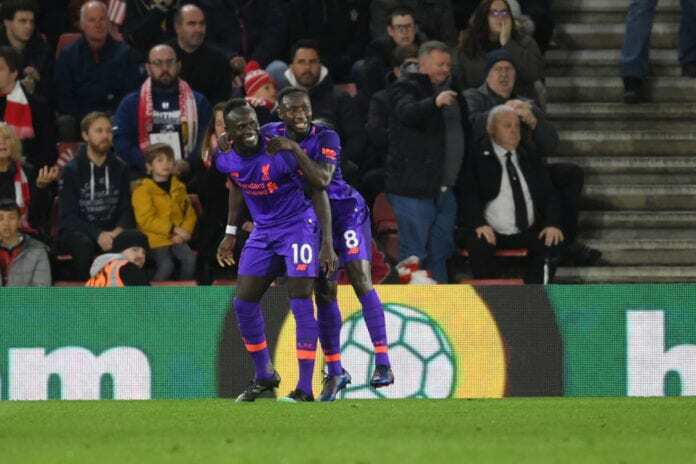 Liverpool forward Sadio Mane revealed how happy he is for Naby Keita’s recent performances. He believes the Guinean midfielder deserves recognition. Guinean midfielder Naby Keita arrived at Liverpool for nearly €62 million as one of the most expensive players that Jurgen Klopp brought last summer. The start of the season wasn’t that great for the midfielder but Sadio Mane knew his struggle was only temporary. The Senegal international has transformed into one of the Reds’ most talented players up front and he shared a dressing room with Keita. Both African players met at Austrian club RB Salzburg and they both won the Bundesliga from that country in different seasons. 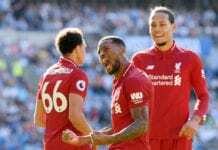 Manager Jurgen Klopp has a keen eye for talent from the most unexpected places and Salzburg was the ideal place for him to find these two versatile players. Keita moved to RB Leipzig in 2016 and he made the German Bundesliga Team of the 2016-17 season. This recognition was all that the Liverpool manager needed to convince the Reds’ board of directors to come after his transfer. The English club had been keeping tabs on him ever since he played in Austria but his time in Germany improved his game dramatically, Keita was ready for Liverpool. 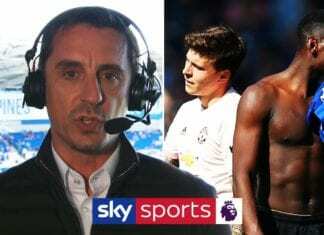 The player didn’t really perform that much from the very beginning and the gaffer even explained why the midfielder wasn’t getting as many minutes as he wanted. But the last two matches were a perfect opportunity for Naby to finally demonstrate his full capabilities. The goals he scored against Southampton last weekend and FC Porto a few days back proved that he is only starting to feel comfortable. His friend Sadio Mane wanted to explain how much he expects from Naby Keita’s talents as a footballer. The way he described how much he admires the midfielder makes us think that we are about to see one of the best in the world at work. Keita has an excellent platform next weekend in the Premier League as Liverpool will face Chelsea next Sunday at Anfield Road. His recent performances for the Reds must give him an edge against the other midfielders in the squad to get a starring role in the final stretch of the season. We wholeheartedly believe that Naby Keita has everything to become one of the best midfielders in the world very soon, all he needs are the opportunities. Jurgen Klopp is a very wise man, he has perfect timing for these types of players. We can pretty much guarantee that the German coach is already planning to use Keita during several of the matches left this season in all the competitions they have left. Sadio Mane explained Keita better than anybody. Level at the break after Keita's strike. “I knew him from a long time ago, from the first time he came to Salzburg and he was the same,” Mane said via Four Four Two. How vital will Naby Keita become for Liverpool during this dinal part of the season? Please share your opinion in the comment section down below. Next articleWho is the best player of the Premier League this season?